Having a dietitian nutritionist at your workplace is a great way to help employees meet and sustain their health and wellness goals. Healthier employees take fewer sick days, require less time off for chronic medical conditions, and have more physical and mental energy. Nourish Family Nutrition’s service Nourish@the Office brings our staff to your workplace–at no cost to you. Nourish@the Office is like having a registered dietitian nutritionist on staff except that employers don’t pay a penny. Give us an empty office or conference room for a few hours or a few days a week and we’ll bring our office to yours. Contact Nourish to let us know convenient day(s) and times for one of our dietitian nutritionists to come to your workplace each week. Let us know which room we’ll be using. The location can change as frequently as you need it to. Get the word out to your employees about when and where Nourish will be in your workplace. Step back and let us do the rest of the work. Supplying organizations with cumulative employee wellness metrics. Having access to nutrition counseling at work saves employees the time and stress of trying to fit in yet another thing after work. Greater success in achieving health and wellness goals. Making nutrition counseling more convenient increases the likelihood that employees will keep their appointments and achieve better health and wellness results. No added cost for on-site counseling. Each employee’s insurance plan covers nutrition counseling sessions, and employees do not incur an additional fee for seeing us at their workplace rather than at our office. manage food allergies and sensitivities. No cost to you—but you look like a star! 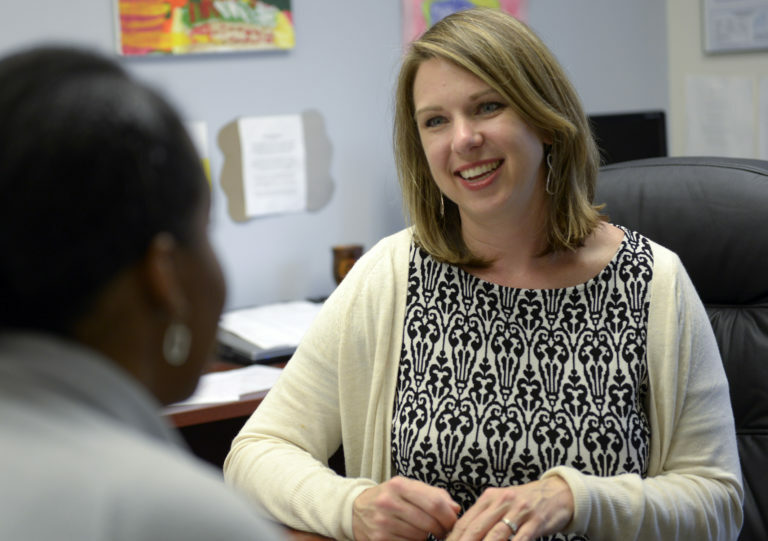 All Nourish counseling services are paid for through employee insurance plans—and we handle all of the billing. Simply provide an office or conference room for us to use at your workplace for a few hours or days each week and we’ll do the rest. Healthier employees. Nutrition counseling by Registered Dietitian Nutritionists has been proven to reduce medical costs. Find out more. Workplace wellness metrics whenever you need them. Nourish will be happy to provide free cumulative results metrics—i.e., total pounds lost by employees, number of prescriptions cancelled, improvements in biometric markers—that you can include in workplace wellness numbers. For more information or to request Nourish@the Office services, call: 410-370-0415, or email: diana@nourishfamily.com.